Pinterest has become one of the top sites visited worldwide. It’s extremely powerful to put content on Pinterest, and drive traffic, generate lead and sales to your website or product / service. However it is quite different from the traditional Facebook or Twitter. Its primarily a visual platform and many people struggle to understand how they can present their brand and products on such network. This is where this book will help you. With concrete directions, tools and strategy you can use asap, you will know how to create your business page and maximize its impact. 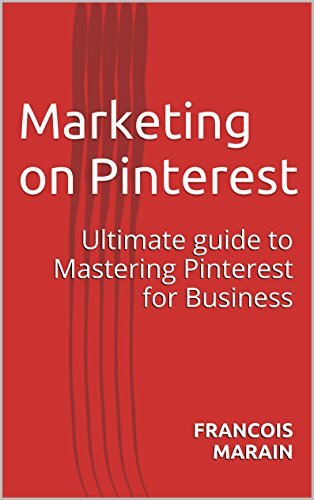 Francois Marain is an online entrepreneur who uses Pinterest daily and he shares in this extensive guide, how you can start and master the platform. Pinterest is starting to release paid advertising, so it will drive even more traffic soon. Start now and benefit from the organic reach you can still get for free.